If the idea of filling out your tax refund sends a chill down your spine, you need to be more informed about taxes. Deductions and credits are the best ways to maximize your tax refund or ensure that you get a refund instead of paying the Government more of your hard-earned money. Let’s take a look at some of the best tips for maximizing your tax refund for this calendar year. It’s no surprise that the amount of your income is the main determining factor of how much you have to pay yearly in taxes. One easy way to knock down your taxable income into a lower bracket is to put the money into your retirement plan. Traditional IRA and 401(k) contributions are tax-deferred. This means that the money you put in those accounts isn’t included in your yearly taxable income. This is one sly trick to help lower your tax percentage owed for the current year. The next tip we have for you is to pay close attention to your tax credits. Tax credits are highly prized over basic tax deductions. This is for the simple fact that tax credits are dollar-for-dollar credits and tax deductions are based on your income bracket percentages. For example, a $1,000 tax credit means you have to pay $1,000 less on your tax bill. If you only owe $500 on your tax bill, a $1,000 tax credit will leave you with a nice $500 tax refund check after covering the initial $500 that was already owed. A tax deduction of $1,000 is proportional to your income bracket. If you’re in the 25 percent income bracket, a $1,000 tax deduction is equal to a $250 credit on your tax bill. In this case of owing $500 on your taxes, that amount will decrease to only owing $250. As you can see, tax credits are imperative to changing the amount of money you owe the Government or the amount of money you get refunded from the Government. 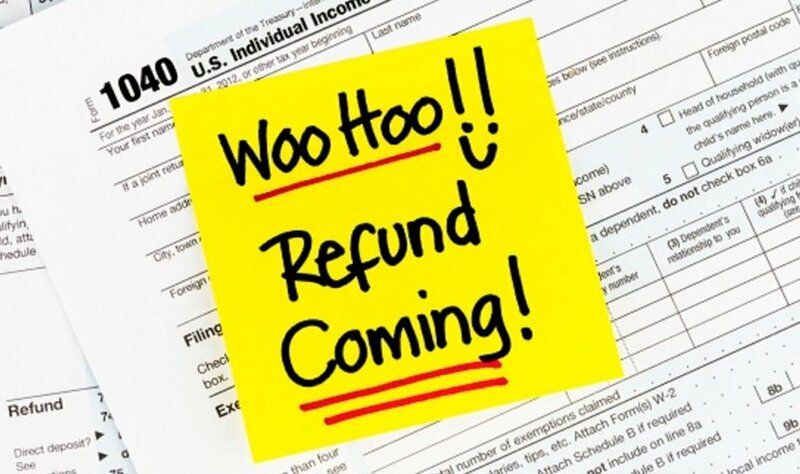 FreeTaxUSA.com and other online software programs are the way to go to ensure you get the maximum refund possible on your next tax return. Taxes can be difficult to understand for those who don’t hold an accounting degree. Figuring out the legal language can be a barrier right from the start for many individuals. You can solve this issue by using online software programs to fill out your taxes. Many of these programs will ask a variety of questions to help ensure you’re getting as many tax credits and deductions as possible for your situation. Maximizing your tax refund is something that’s likely on your mind this time of the year. In fact, many individuals spend lots of time worrying about paying the Government when they should be worrying about understanding how to get more money back. You should focus your time on utilizing the tips that are outlined above to help ensure your refund check is as big as it possibly can be for your situation. ← What Does a Particular Coach Do?